Heading down to take on the challenges this Easter? 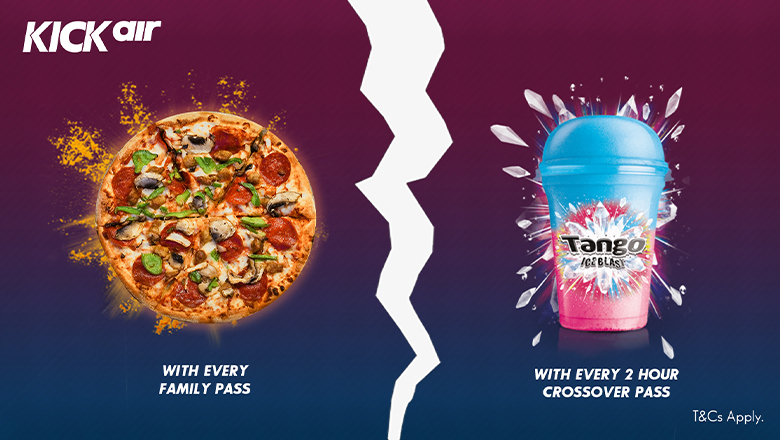 🐣☀️ We’re offering a FREE 12” PIZZA 🍕 with every Family Pass AND a FREE Tango Ice Blast 🥤 when you book a 2-Hour Crossover Pass! 😱 T&Cs Apply.